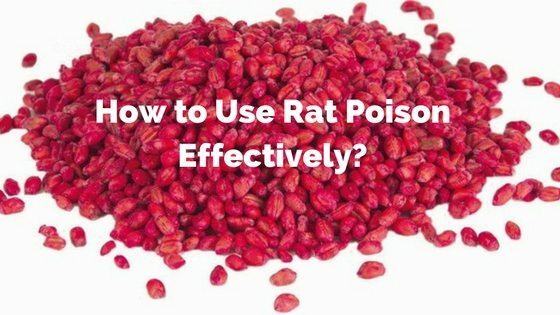 >> How to Use Rat Poison Effectively? Rats cause ill health to humans, and spoil items like clothes, plastic, and electric wires. As well, rats destroy and contaminate animal and human food. Because of these reasons, people are forced to look for a way curb the menace. Rat poison is one of the effective ways preferred because of its ability to wipe a large rat population within a short time. Most rodenticides are non-specific poisons, meaning that they can affect other animal species like people, cats, dogs and other animals like hawks and foxes that may scavenge on poisoned rats. For this reason, you are required to care when using rodenticides within your home and environment. Here is a guideline to help you use the poison effectively. 1. Aim at only controlling rats and other nuisance rodents. The first step towards effective use is to select a rodenticide that won’t harm you and other non-target animals. Bait stations are tamper proof to prevent children, pets, and other animals from coming into contact with a rodenticide. The bait station has an entrance through which rats enter. Most bait stations come fitted with a poison preventing you from coming into contact with the poison. Bait stations are placed in areas infested with mice and rats. The opening should not limit rat entrance into the station. Depending on the rat population, you can use more stations positioned in all rat infested areas. Leave the bait stations for as long as 14 days. Check the bait stations each morning and dispose of bait stations whose rodenticide is eaten and those who have been damaged thereby exposing the bait. Move bait stations whose bait is not consumed within three days. Bait stations are efficient for outdoor use and in areas where kids and pets can easily access the bait. • Use of poisons that are nontoxic to other species. This rodenticide kills by dehydrating rats. Some of the ingredients that make the bait are gluten and salt, which are not harmful to human beings and pets. When rats consume the product, it hampers water absorption into the rat’s body. The poison can be used near animal feeds. The poison does not kill scavengers that might feed on the rat corpse. Metal phosphide is a component that prevents poisoning of scavengers and predators that might feed on poisoned or dead rats. When metal phosphide is ingested, it releases Phosgene, a toxic gas. After killing the rat, the gas dissipates and hence cannot harm predators. However, metal phosphide is lethal to any animal which consumes the poison. As such, it should be used in confined areas that are inaccessible to children and pets. 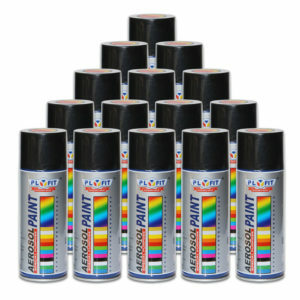 It cannot be used in areas with human or animal foods. After selecting a good rat poison, remove all food items that rats eat. Such food items include cereals, waste, and exposed animal and human food. Eliminating the food items prompts the rats to feed on the poisoned bait. Rats are incapable of vomiting. Rats have a defensive ability in which they first sample a food item before ingesting it. The rats take a little sample and wait to see if it harms them. If the food doesn’t hurt them, they will come back and eat more. If the rats notice a harmful side effect, the rats will not eat it again. For this reason, you should put some food resembling your bait in the infested areas to get the rats used to the new food. This can be done for three days, after which you place your poisoned bait. In the next morning, remove partially eaten baits and replace them with new ones. Repeat the process for three days after which all rats should have been poisoned. Sometimes, rats will fail to eat some types of baits. In this case, you need to substitute the first bait with various options that give the rats a chance to choose their favorite bait. Depending on the population of rats, you can place several baits within a range of 15-50 feet from each other. Rats are cautious to objects that are moved. As such, avoid moving the baits from one place to another. Damp locations can affect the lethal dose of a rodenticide. Use protective means to keep the poison from being made damp. Effective baits are those put in a rat-infested place. For this reason, you are required to identify the locations and place your bait adjacent to the place. A rat produces an average of 40 droppings in a night. The droppings are dark, and take the shape of a rice grain. The droppings measure 9 mm or more. Like all rodents, rats gnaw on electric cables, fabric, wood and other items to control their teeth from growing. The gnawing activity leaves visible tooth marks on chewed items. Rats use similar tracks to move into and out of houses. The places appear dirty and greasy as they continue using it. Some rat species excavate burrows where they stay and store food items. The holes can be identified near heaps of waste, garden or around various structures in a home. You can identify tail and foot marks in dusty areas where rats pass. You can also dust an area, to help you determine the presence of rats. Some of the places prone to rat infestation include corners, kitchens, food stores, sheds, compost bins, and drains. Most poisons are effective as long as it kills target species, it is placed in an infested area, and it lures rats into eating the bait.